(originally scheduled for May 5, 2019) has been postponed. The Greek muse of epic poetry breaks down and hires a human girl as an intern when she gets overwhelmed with her workload. In a modern mythological world, where dreams and ideas are tangible things, both gods and humans have to learn their own limitations and explore the place of the artist in a chaotic world. 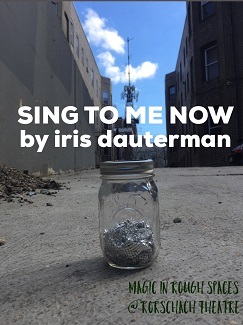 The SING TO ME NOW team will include a lighting designer who will explore the creation of dreamscapes throughout the play. 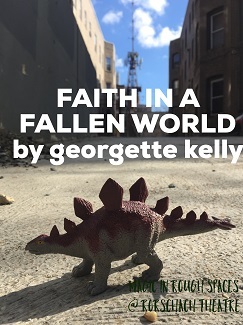 The FAITH IN A FALLEN WORLD team will include a prop/puppet designer to explore how some of the small creatures in Georgette’s world might manifest. Kora, a young woman who is obsessed with death, has just come home from college after a significant loss. Kora’s return forces her and her mother, Rose, to re-examine their roles as mother and daughter, and learn to relive happier times in their life through the video game Tekken 2. Meanwhile, Cato, wakes up in a strange vehicle on the way to an unknown destination, piloted by a mysterious, powerful figure. To avoid making this transferal, they will attempt impossible things: erasing a memory, eliminating emotions, reclaiming a family, reversing a death. 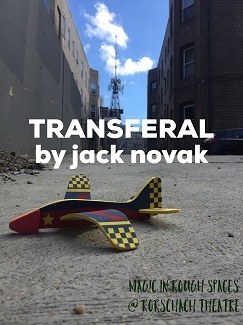 The TRANSFERAL team will include a sound designer who will explore the auditory world of the play as the plane’s engines drive the action of the play forward.